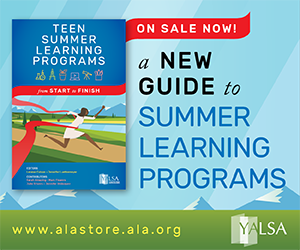 By Jessica Snow October 14, 2015 January 3, 2018 Learning Experiences, Technology, Teen Services, YALSA Info. Makerspaces are popping up everywhere and the definition of makerspaces is constantly evolving like the spaces themselves. Makerspaces, sometimes also referred to as hackerspaces, hackspaces, and fablabs are creative, DIY spaces where people can gather to create, invent, and learn. The focus, actually, is on the type of learning that goes on, not the stuff. Making is about learning that is: interest-driven and hands-on and often supported by peer-to-peer learning. This is often referred to as connected learning. Also, you don’t need a set space to facilitate this type of learning. You can have pop up makerspaces at various library branches, afterschool programs, community centers, etc. Or you can set up a ‘maker cart’ that can travel anywhere in the library. Perhaps what your teens need most are maker backpacks that are stuffed with resources and activities they can do at home. Why focus on maker programs and spaces in your library? These types of activities help teens explore their interests and build skills that they need for college and careers. 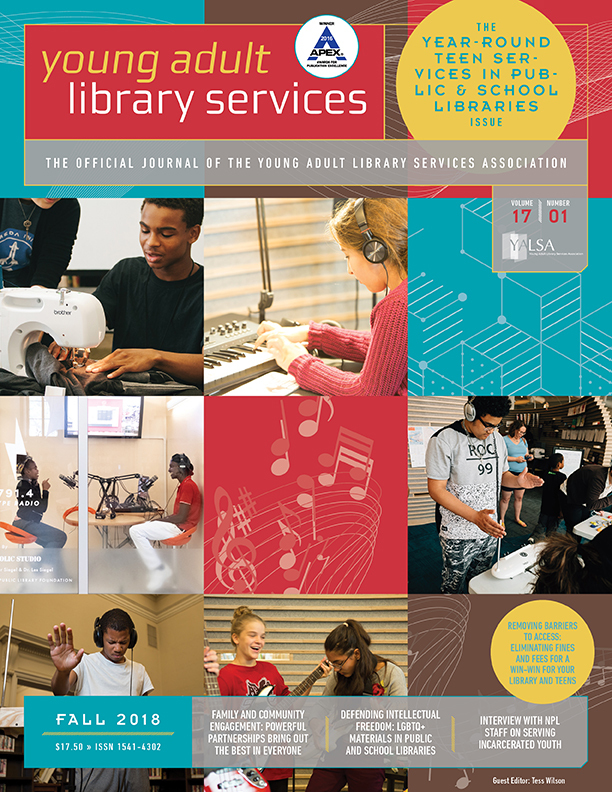 The Institute of Museum and Library Services has a great two page informational sheet (.pdf) that talks about making and libraries. Share this with your supervisor to help them understand why these types of learning activities are important. Here are some other resources and ideas to help get you started. 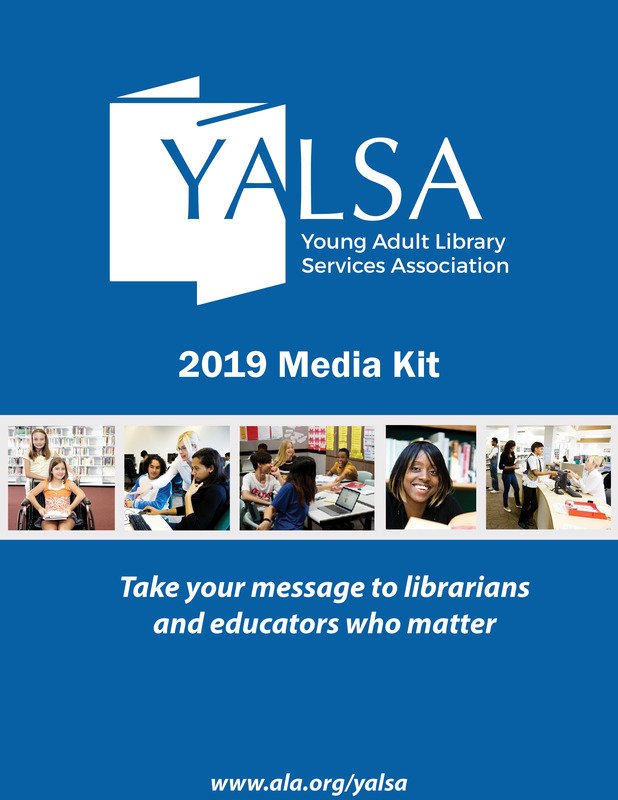 YALSA’s wiki on Maker and DIY Programs has resources, funding opportunities, program ideas and more. The Makerspace Lab has a good starting list of websites of hackerspaces, list of starting supplies/resources/costs as well as videos so you can get a sense of what some of the spaces look like and what they do. Little Bits DIY electronics for prototyping and learning. Kits begin at $99. The Little Bits site has a forum for people to share, lessons that you can download and you too can share your work and get ideas for programs. Lots of great stuff and a community of people! Raspberry Pis are a capable little device that enables people of all ages to explore computing, and to learn how to program in languages like Scratch and Python. It’s capable of doing everything you’d expect a desktop computer to do, from browsing the internet and playing high-definition video, to making spreadsheets, word-processing, and playing games. The Raspberry Pi website has a lot of helpful videos and resources you can explore to help you and your teens get started. The Pi’s are $30 a piece. Youtube has lots of videos to see them in action and get adept at what you can do with them. Recommended to play with them before breaking out for makerspace. Squishy Circuits The goal of the project is to design tools and activities which allow kids of all ages to create circuits and explore electronics using play dough. What about low tech or tech maker ideas? The Instructables website has lots of maker programs that are craft based, low tech, no tech and more. Each of the projects are complete with pictures and instructions. The Make it @ Your Library website Make it @ Your Library came together in association with ALA in 2012 as part of ILEAD USA, an IMLS grant funded library program, with the intention of helping librarians realize makerspace projects in their communities. Code Club World is a worldwide network of coding clubs for youth, they have some great resources and curriculum that can be used for your own code clubs. Scratch is a free programming language and online community where you can create your own interactive stories, games, and animations. Scratch can be used with Makey Makeys, Raspberry Pis on its own and more. 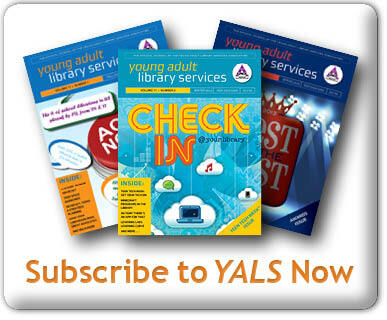 Check out the YALSA Blog post in September that shared a bunch of free sites and resources. What about finding funds to help support your maker activities? LSTA (Library Services and Technology Act) is the only federal program for libraries and is administered through the IMLS. These funds are distributed to libraries through their state library agency. State library associations and state library systems will have grant resources available as well, look at your state resources. How are you supposed to learn how to do all this making stuff? 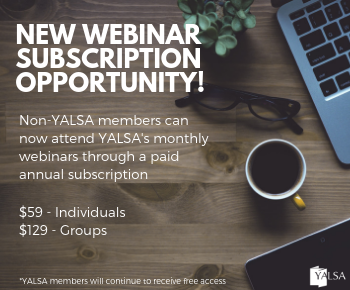 YALSA has some free archived webinars to help get you started, but don’t forget that you don’t have to be the expert on everything! Be sure to identify teens who can help you plan and carry out maker programs, as well as experts out there in the community who could be retirees, business owners, artists, teachers, hobbyists and more. Use the Map My Community Tool to find other youth serving organizations in your area and connect with them. Tagged Technology, Technology spaces, technology tools.